Father Wayne Pavela led Holy Family grades 7-12 and faculty in the celebration of Passover. A full traditional meal featuring roast beef was prepared by the kitchen staff. 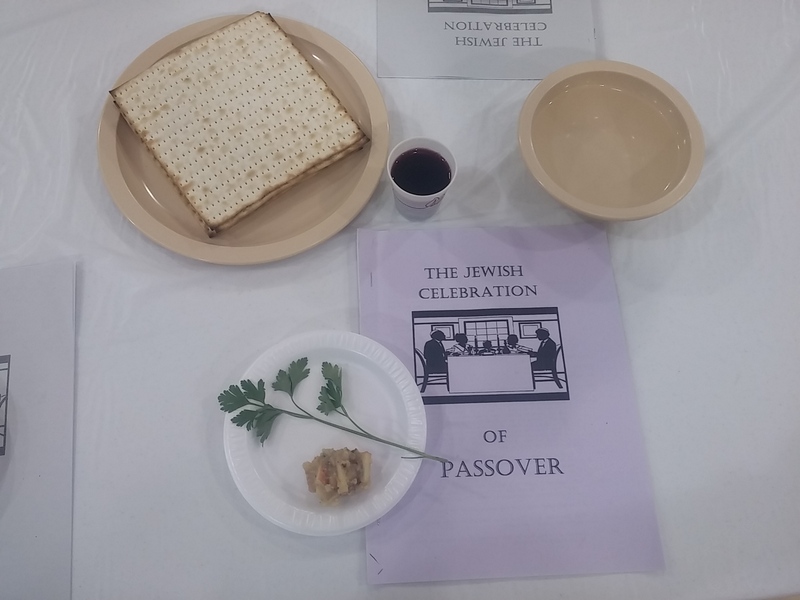 The Passover script concluded with a Christian Seder.